Now, in the interest of full disclosure I think it’s important to point out that I’m a millennial – I love technology! Growing up during a time where change was everywhere, I’ve learned from my own experiences that accepting and embracing change and technology has had, and will continue to have, a hugely positive impact on my professional life. Now, If you don’t share my view on change and technology then that’s completely fine. 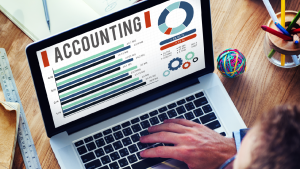 What’s hard to deny though, is the benefits that cloud accounting software can have on small businesses when their owners learn to use it correctly. Whilst many business owners have transitioned happily over the years and are now experiencing the benefits first hand, some are still resisting the change. Firstly, the basic versions of the best quality software on the market will cost you $25-$60 per month. Annually, that’s the cost of what, 2 or 3 big Saturday nights at the pub? Also, if you use it properly I guarantee you’ll save at least an hour a month – even if that hour is simply driving to us to drop off your paperwork. Depending on your hourly rate, you’re probably already saving money! Knowing the benefits first hand, I’m simply not buying the “it costs too much” excuse. Secondly, I’ll never begrudge a client who is happy doing what they’re doing, as long as what they’re doing is reasonable. However, my clients who use ‘on-line’ programs the best save hours on their record keeping. Most do it themselves, which saves a truckload on bookkeeping. If it’s set up properly, your data becomes cleaner. This means our job becomes easier. This should mean that instead of spending our time trawling through below-average accounting records we can spend more time looking at the things that add real value to your business. Thirdly, if you use internet banking then you have the internet access you need to run an accounting program. Likewise, the risk of banking on line far outweighs the risk of accounting online. In 2010, I understood people’s apprehension. Now, almost a decade on, unless you’re in the miniscule percentage of the population that genuinely can’t access the internet, or still don’t use internet banking, I’m not sure this argument is valid anymore. No manual data entry, the software will link directly to your bank accounts so you just have to tell it what each transaction is. Artificial intelligence which remembers what you’ve done in the past and will automatically do the same in the future – always fill up the car at Caltex service stations? Once your file knows this, you should never have to allocate another fuel purchase again. We (your accountants) can see live, up to date data at the same time as you, from wherever you are. This makes tax and strategic planning so much easier from our end and gives us the ability to have much more positive impact on your business! If you pay wages, once Single Touch Payroll is introduced across the board from 1 July 2019, you’re not going to have a choice – you’ll be forced to have online payroll software at a minimum. Get paid faster, by easily sending email reminders to slow payers, see when customers have viewed invoices and offer a variety of payment options which have been proven to increase speed of payment from customers. If you have the software, and don’t feel like you are getting the benefits that I’ve touched on above, make an appointment with one of our staff to review how you’re using it. After all, the cost of an hour training session, might be nothing compared to what it might get you in return. If you’re still kicking around with your spreadsheets, shoeboxes or color-coded bank statements, my advice would be to embrace the change, lean on us to guide you, and if at the end of the day you still hate it, all these programs offer you a free month trial so you can scrap it without spending a cent. To get the most suitable software for your business, at the best price, speak to our office today.